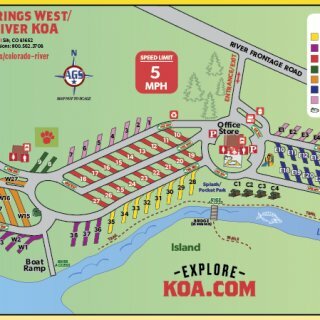 Ask fellow campers about "Glenwood Springs West / Colorado River KOA" and nearby attractions. This place is fabulous. Lots of room between sites. Beautiful view of the mountains. Plenty of full baths (toilet, sink and shower), concrete patios, level gravel sites. It's exceptionally clean and neat. We stayed on our way to Utah. Every campground should be like this one. The staff are exceptionally helpful and welcoming. They understand customer relationships. We had a site on the river and the view was beautiful. Saw Bald Eagles most evenings along with lots of other birds. We camped at Glenwood Springs West / Colorado River KOA in a Fifth Wheel. Great RV Park. We stayed on our way to Moab as well as coming home. We stayed in the deluxe pull thru sites. They were plenty long and level enough. Spacing between sites is good. Staff is very nice and helpful. They also have a really nice dog park for us campers with doggies. Far enough from the highway for quiet and close enough to town for visiting. This is one of the nicest KOA's we have ever stayed. We will likely return again some day. We camped at Glenwood Springs West / Colorado River KOA in a Motorhome. Went to dinner at Miners Claim and food was OUTSTANDING! Very nice park. Some of it was closed for winter but would love to come back in summer. Very helpful staff. We camped at Glenwood Springs West / Colorado River KOA in a Travel Trailer. Nice open park right on the Colorado River. 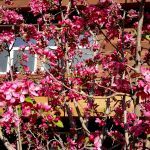 Close to I-70 for easy access to Glenwood Springs and environs although the park is 19 miles from downtown. The back-in riverfront patio sites are very nice and right on the river. Everything in the park was spotlessly clean. We camped at Glenwood Springs West / Colorado River KOA in a Travel Trailer. The town of Glenwood Springs is 19 interstate miles away with a number of hot spring resorts, restaurants, brew pubs, shopping. Aspen CO is 60 miles away but worth the drive just for the setting. This KOA seems relatively new and has nice large pull through sites. RVs are not stacked next to one another with barely room to walk. Nice green space as well and they have the best K9 Kamp I've seen. Showers are clean and good size. The staff was great! I recommend this location when visiting western Colorado. 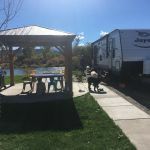 We camped at Glenwood Springs West / Colorado River KOA in a Fifth Wheel. We camped here for 6 nights. Friendly owner and staff. We stayed in a Premium pull-thru. Sites are level with gravel and full side concrete patio with table and chairs. Verizon has strong signal. We used it for WiFi but think the park WiFi was good also. Did not use any of the other facilities at park. Only negative for the park is that since it is close to I-70 there is a lot of road noise if sitting outside. We camped at Glenwood Springs West / Colorado River KOA in a Motorhome. Some great golf courses within 30 miles of park. Battlement Mesa Golf Course, Rifle Gap Golf Course, & River Valley Ranch Golf Course are all great courses and nearby. We spent 1 night at this campground and found the staff very friendly and helpful. We were escorted to ours. The location right along the Colorado river was picturesque. If you like to fish then you could do that right at the campground. The sites were well laid out and hookup worked fine for our trailer. Dog park was large for exercising our dogs. They had nice walking trail along river. We'll put this one on our list of good campgrounds to stay at while traveling. We camped at Glenwood Springs West / Colorado River KOA in a Travel Trailer. This is a brand new KOA at the time we camped so everything was clean and fresh. It's a lovely setting with the river running next to it. We camped at Glenwood Springs West / Colorado River KOA in a Motorhome. This park is only 4 years old and the attention to detail provided by the management is evident as they develop the park. 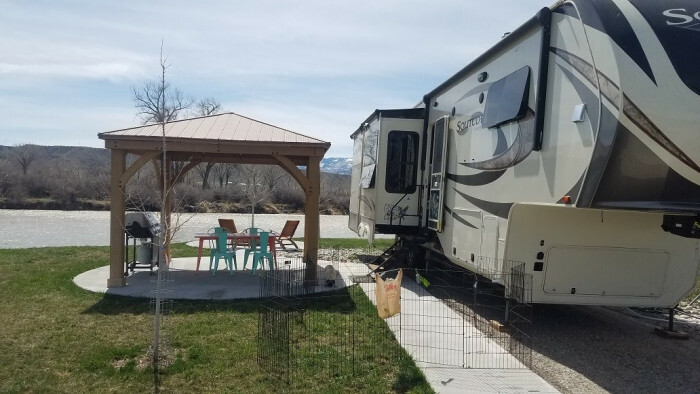 The park is located on the Colorado River and the sites along the river are outstanding with a covered gazebo, propane grill, fire ring, picnic table and patio chairs. Also, the distance between sites is the best I have ever seen in a KOA. The extended patio areas really gave you a nice area for sitting. 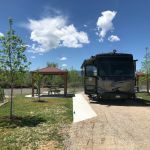 The park is a short 15 minute drive from the town of Glenwood Springs and there are local grocery stores and gas stations within 5-8 minutes of the campground. We camped at Glenwood Springs West / Colorado River KOA in a Fifth Wheel. The Pullman restaurant in Glenwood has a great patio and wonderful views. Service was excellent. Ironwood Hot Springs is wonderful for an adult atmosphere. Beverages are available and there are a variety of soaking tubs of different temperatures and sizes. The Glenwood Canyon bike trail offers dramatic views of the canyon and river. Gravel pad with grass and picnic table for pull through site. Nicely laid out office and guest area. Pool is closed for the year. Name of CG is a bit misleading if you are not familiar with Colorado as Glenwood Springs is about 20 miles east of the location here in Silt. Nice river access, be sure to have water pressure valve as pressure here is about 80 psi. I would stay again on passing through driving I70. You may need a 30' sewer hose if in a MH with a toad. We camped at Glenwood Springs West / Colorado River KOA in a Motorhome. Very nice KOA. We had a back-in site that backed up to the Colorado river. 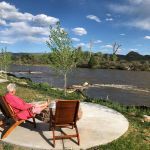 Our site was nicely landscaped with a large concrete patio that included a covered patio, table and chairs, nice gas grill, a fire pit with two Adirondack chairs. We caught and released some rainbow trout from our site. We also had a Bald Eagle come make a daily appearance across the river. We would definitely stay here again. We camped at Glenwood Springs West / Colorado River KOA in a Fifth Wheel. Rifle Falls State Park, Miner's Claim Restaurant in Silt, day trip to Aspen. This is one of the best RV parks I stayed at. The lot was level and I didn't even need jacks to level it. The lot was plenty long and with room for my tow either behind or in front of the RV. The overall rating is not a 10 because of the many weeds in the grass area and dead plants. The staff was very good and when needing to find daycare for my dog, there recommendation was excellent. The landscaping is very nice and mostly well maintained. The best part was the location. Right along the Colorado river and 360 degree views of mountains. Made for beautiful sunrises and sunsets. Saw eagles flying and deer crossing the river to get to the RV park. I will stay here again for sure when back in the area. We camped at Glenwood Springs West / Colorado River KOA in a Motorhome. If you need dog care, I recommend Dog Holliday over in Glenwood Springs. They took very good care of our small Morkie for six hours so we could explore Aspen. The staff was excellent from checkin to checkout. My dog was happy. As for eateries, I can recommend Burning Mountain Pizza and sub in Silt. It also is great for morning bagels and desserts like made daily cannoli's. Sites too close together. Laundry pricey $5.25 to wash and dry 1 load. Site lawns need TLC! Wifi and cable both worked good. We camped at Glenwood Springs West / Colorado River KOA in a Motorhome. Small town of Rifle has a very cool Heritage museum. This is a real nice RV park located conveniently to I-70, but with little road noise. Check in staff are friendly and helpful and there is a small camp store and very nice lounge in the office area. Sites are spacious, gravel, long, level, both pull-through and back-in. 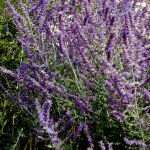 There is no shade at this time but small trees are planted at each site. Many have a patio with table and chairs and a fire ring with grass between sites. Utilities worked well and the WiFi worked most of the time. Bathrooms and showers are modern and clean. There is huge grassy, fenced dog park that is large enough for even a big dog to run and play ball. 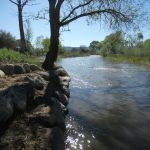 It is located right on the Colorado river. My only complaints were the tiny laundry rooms that are undersized for a park this large and the robust prickly thistles in the grass next to our RV. We camped at Glenwood Springs West / Colorado River KOA in a Motorhome. Convenient to Glenwood Springs and a day trip to Aspen. We stayed for four nights. Pull through sites are easy to access and hookups are in a good location. Campground has a nice pool and jacuzzi and is well landscaped considering it is a fairly dry high country area. Grounds are watered. There is a very nice office and gift shop. Customer service is great. On two days of our stay, workers came and took our dog to the large dog park and played with her. Park is quite new with many trees planted but very little shade until the trees grow up. There are also back in sites with patios close to the Colorado River. Roads are well laid out and curving, but easy to navigate. 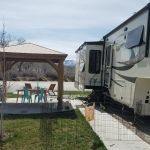 This campground is about 20 miles west of Glenwood Springs with many recreational opportunities. We camped at Glenwood Springs West / Colorado River KOA in a Fifth Wheel. There is a trail over a bridge to a little island belonging to the KOA. New Castle is 7 miles up the road. Quaint old town area. New Castle Diner is a great 50's style diner with soda fountain. Worth a visit. Good fishing in the Co river right behind the campground. The town of Rifle is nearby. The Whistle Pig coffee cafe in the historic district serves good breakfast items and is a comfortable place to use WiFi. On the is the modern part of town with Walmart and fast food. Be sure to go to the Rifle Creek Falls State Park. The yards of the parking area. Beautiful Rifle Falls State Park very close. BLM land close to off road. Glenwood Springs very close. Misty's Coffee shop in Silt is great and has free wifi. There is a restaurant/bar and grill in downtown that we did not go to. Silt has a large open dog park east on the frontage road with trails and access to the river. Rifle Falls is a couple of miles north of silt and well worth the $7 fee the State Park charges. Take the time to walk, bike some or all of the Glenwood Springs Bike and Pedestrian Pathway that runs under and beside I-70 through Glenwood Canyon. This is a well maintained concrete path that does not disappoint. It is accessible at exit 119 and from all the rest areas off I-70. Aspen is a short drive away. Not really sure what there is to do in the area - obviously if it's winter, then there are plenty of Ski resorts around. Miner's Climb restaurant in Silt has excellent food. It's a gourmet restaurant where you can wear jeans! The margaritas are made with fresh-squeezed limes. If local peaches are in season and for sale in the office, buy some...delicious. Not much to the town of Silt, but Rifle is a short drive to your west & Glenwood Springs is to your east. Both are very nice with alot to offer. Several rafting businesses in Glenwood. Visit Glenwood Caverns Adventure Park and Smoke Barbecue. Go the the Saturday pancake breakfast. The pancakes really were good and sitting by the water was nice too. Order delivery from Mama Costas Pizza. Get some salad! Nice fishing in the river that runs along the park with lots of wildlife. We watched a beaver near the river. Glenwood Springs is a few miles south of the park with both the older Glenwood Springs Hot Springs and the newer Iron Mountain Hot Springs being perfect places to soak in warm, mineral springs. We encountered a problem opening our slide (cabinet door flew open and got stuck behind slide--not fun) and needed to do some quick repairs. Tim's Tools, a hardware store in downtown Silt, had everything we needed for this last minute emergency. The park has strong water pressure. A regulator is recommended. The laundry was spotless. It is small (4 washers, 4 dryers) and a bit pricey. Be sure to hike across the creek to the island (on the property) to get great river views. Cabin and teepee rentals are also available. The coffee pot is on in the spacious lobby and comfortable seating is spaced throughout the park for relaxing and watching the beautiful views. Eat at Miners' Claim. KOA office has 10% off of entree coupons. Good food and nice folks. Glenmont Springs approx 20 mi away. Walmart in Rifle, CO.
Penny Hot Springs, a drive but worth it! 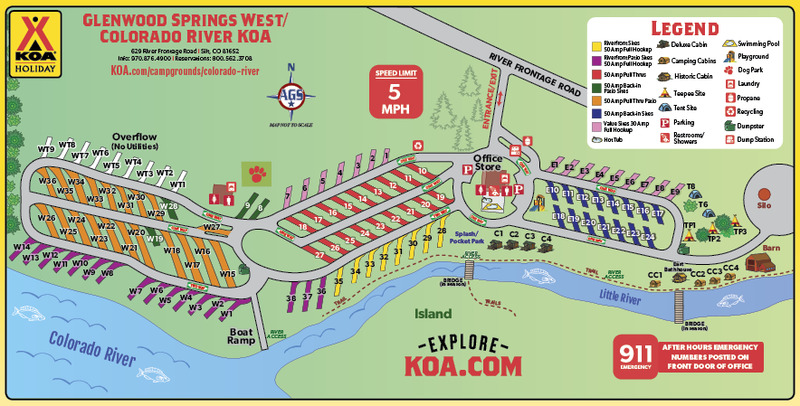 Are you affiliated with Glenwood Springs West / Colorado River KOA ?